I work with executives and small teams. My clients vary. Many are CEOs, senior leaders of start-up businesses or key teams within a larger, established organization. I also work with individuals who are trying to sort through key strategic decisions regarding their life or career. I typically work with a client a number of times a month for an hour at a time, where we meet in person if possible or by video call if necessary. My advisory work is concentrated on two types of services. So much of what young people and start-ups need to know to succeed is not taught; they have to learn those lessons the hard way. I help individuals and organizations accelerate their learning curve by capturing the wisdom from best practices, past experience and especially a proven and innovative system to learn from mistakes. I also help individuals and organizations reinvent themselves in response to changing personal, social, economic or technological circumstances. Ion’s presentation was the most thought-provoking of the conference; his lessons on negotiation are still being talked about today. 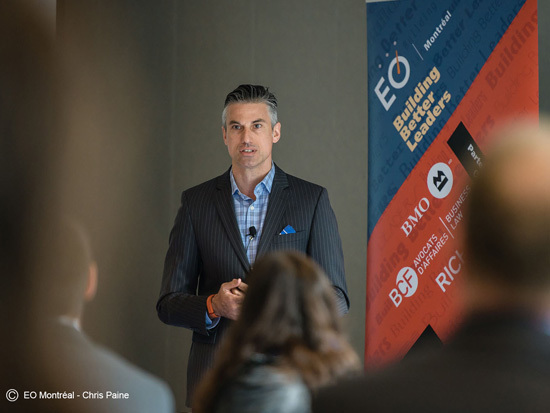 Ion is a dynamic and engaging speaker who can give you the insights you need to take your organization, business strategy or life to the next level. Ion’s professional development workshops compressed his 20 years of experience into 4 hours of insights packed with practical applications. I learned so much in that half-day that I’ve been able to apply to my own career, and his strategic advice since then has been an invaluable resource when I’m faced with a particularly thorny problem or dilemma. Everyone should have someone like Ion in their corner when facing professional challenges …I have used and reused my learnings with my team and have been able to see a significant shift from where we are to where we would like to be. To me, those sessions with Ion, has been an investment for a lifetime. Ion’s message about the power of learning from mistakes stands out in a crowded field of leadership advice. The Magnificent Mistake Management Workshop helped our senior leaders recognize the power of transforming their mistakes and provided the tools to leverage them into actionable improvements for our organization. The results from his work with us have been immediate and impactful. The environment we operate in is extremely dynamic and the role of strategic planning is critical. In early 2015, we began working with Ion. His systematic approach to strategic planning took what is sometimes esoteric and made it tangible. Ion’s impressive work has made a significant impact to our business: we are in a far better place – with more specific and well thought through plans – than we were when we started the process. I highly recommend Ion to any business looking to strategically reinvent themselves or accelerate their organization’s growth. Deciding what niche to occupy is one of the biggest decisions people make when charting a path for their organization or career. The fancy term for that is #positioning, and we should all be better acquainted with the concept.